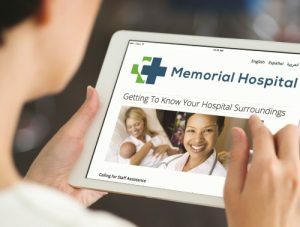 In preparation for a significant trade show, Care Publications needed to redo it’s website. The deadline for completion was immovable, timed to the arrival of a direct mail promotion inviting people to visit Care’s booth to try out CARE2GO, Care’s new patient engagement app. With no time to spare, I reorganized the website’s front page and navigation, and then rewrote all the copy for length, clarity, and relevance. (The old copy was like the Mississippi River: long, meandering, and muddy.) We also found a few stock photos that weren’t just stock photography people in lab coats and stethoscopes. The website is live, but is going to be a work in progress for a while. We’re working on a more detailed description of the app and what it does. But this was a crash-the-deadline update had to be done in time to support a set of promotions inviting people to stop by the trade show booth. It went live with one day to spare, in pretty good shape, and the client is thrilled.